I have read where a liner shrinks when pool is empty. Wish I would have known sooner. Mine is empty and has wrinkles on the bottom. I am going to wait for the hottest time to try filling the pool and hopefully the liner will stretch, but will the wrinkles come out in the bottom of the pool when it is being filled? Hi Barry. That's a tough question to answer. I see you are in Florida, that helps, at least as for as temps go. You do need a hot sunny day to make this work. But don't wait too long. The longer you wait the harder it will be. The liner has shrunk, so how much is the question. The wrinkles on the bottom need to be worked out to the edges, that provides a little extra liner where you need it. If this is going to work, timing is everything. The pool cannot sit empty for any length of time. The longer it does the less chance you have of salvaging it. I would get in the pool, during the hottest part of the day, and push my foot to the wall near the bottom, in several places around the pool. As soon as the liner softens so that your foot can go to the wall at the top of the cove, it's time. As you start the water filling, start pushing the wrinkles to the edges. Some liners will work out smooth, some will not. Some liners will stretch out OK, but the wrinkles will remain. Some liners will do neither, the wrinkles will not come out and the liner will not re-stretch. It all depends on the age of the liner and the length of time it has been empty. Get on it as soon as possible and see what happens. Normally if the liner is over 5 years old your chances are slim. But that does not mean you can't try. Doesn't sound good for me. It has been empty for 4 months. I read on one post where a a woman had hers empty for the winter and her liner had shrunk. You replied that she should be ok since her liner was only couple of years old. My liner is 3.5 years old. The liner on my pool isn't too bad in most areas, but one area it has sagged quite a ways from the wall. I don't think I can ever get the liner pushed over to the wall. I still have water in the pool (about 6 inches) how would I get the rest out to try it? Hi. If you still have 6" of water in the pool then I assume it has never been dry. If so, that's a good thing in your favor. Three and a half years puts you on the borderline age wise. My suggestion would be, that on the next sunny day, try to fill the pool. 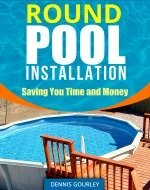 To drain the pool you would either use the bucket and bail method or get a submersible pump. Then the big question is do you really want to drain it? Doing so will decrease your chances of the pool refilling. The liner will shrink more than it already has. Without any more information I would suggest that on the next warm sunny day you start to fill the pool. If you can get in the pool and work some of the wrinkles out great, if not, you may have to decide if you can live with them for a few more years. Draining the pool dry could mean getting a new liner, if you have other options I would try them first. One area of the pool the liner is so far away from the wall that I can't push the liner out to feel the wall. That is how far it is sagging. About 3/4ths of the pool the liner isn't too far away from the wall, but it is that 1/4 where it is, that gives me my doubts about if refilling. Should I try it and how deep will the water have to be to know it won't work. Thanks so much for you replies and info. My rule of thumb is if I can push the liner to the wall it has a chance. Have you tried this during the hottest part of the day, with that area in full sun? That might make a difference. Another thing would be to only fill it a little each day. Once the area is out of direct sunlight you need to stop fill it. Normally by a foot or so of water the liner should be at the wall. If the liner does not stretch it will either pull out at the top or it might start to pull the wall down. Either way it's not a big thing as long as you are watching it. If that happens you know it's time for a replacement. Again I appreciate your advice. The reason I drained the pool in the first place was because a top rail snapped and I was going to try to repair it. My pool guy says the pool has probably shifted to cause the rail to snap. He said he could come over and realign the pool by putting "spacers" under the columns that need it. What are these spaces and could I do that myself? He was talking a lot of money for the liner install and spacers. Hi Barry. The spacers would have to be the footplates. In most cases there is a little wiggle room at the bottom for the plate to shift a little one way or the other. It's not likely this is an issue, but possible. You want your uprights to be straight up and down, if they are not you can shift the plate, by tapping it with a hammer. Just put a level on each upright and see what you think. The pool I had before shifted a little. One side set a little lower over time (you could tell by the water level was a little higher on the wall on one side) and I think the same thing happened here, putting more pressure on the top rail and when it snapped, the 2 uprights were leaning out very slightly. A new top rail would not have fit where it leaned out. It lacked about one inch. If I would have pushed the pool back and put a new top rail on, it would just snap again. The old pool I had was a Vogue. It was beautiful and sturdy. You could walk on the top rail and brush the pool down. Over time I got a leak around the skimmer and it rusted the wall. I was going to get it fixed and the pool guy said "Don't wait too long or it can blow out the side". You guessed it. I waited too long and they did carry that Vogue model anymore. I got an Aqualeader. Much lesser quality. Good Points There is not a lot you can do if you are trying to save a liner, you want the pool full ASAP. When changing a liner, yes, re-level the pool. Put a laser to it and make sure all the top caps read the same. Put a level to the uprights, they should be straight up and down, and straight side to side. And yes, if you have a leak, fix it. That's a good reminder. If the top caps do not read the same with the laser how do you level the end that has settled? I ease a round point shovel under the bottom rail and raise the footplate. I would then pack some dirt under it. You would then pack soil under the bottom rails, again, lifting with the shovel and packing dirt. This needs to be done with an empty pool so the inside cove can be rebuilt.